This is rather simple park, known for its playgrounds, overlooking the Woluwe valley. Walk along the stream and the pool, let your kids exhaust themselves on the playground, check out the trees (ivy, ash, alder), workout at the fitness stations. Click pictures of the 18th century neoclassical Château Malou at sunset and admire the statue of the lion on the northern end. You can eat at Le Moulin De Lindekemale, which used to be a 12th century watermill. How popular is Malou Park? 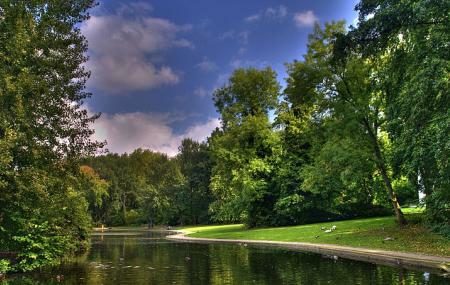 People normally also visit Atomium And Mini Europe while planning their trip to Malou Park.